Being in Singapore for more than 30 years, consumer and industrial goods leader Henkel is preparing for the next phase of growth with the establishment of a new global supply chain hub here. 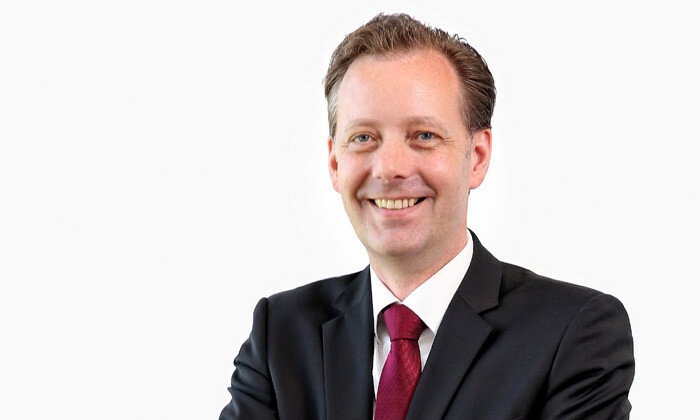 Thomas Holenia, president of Henkel Singapore, fleshes out his immediate priorities in setting up and hiring the right people for the hub. Q. Having been with Henkel for close to 20 years, what is your proudest achievement? There have been several notable moments—from concluding successful contract negotiations to celebrating outstanding team achievements. They have all been very rewarding. Overall, I am happy that I have made many friends in the different countries that I have been lucky to live and work in. Q. Since taking over this year to lead Singapore operations, what are your priorities for the first 100 days? Being in Singapore for more than 30 years and having built a successful business footprint in the region, Henkel is preparing for the next phase of growth with the establishment of a new global supply chain hub here. My immediate priorities are to set up the organisation and hire the right people for the hub. We are looking for people with the relevant mix of local and regional expertise as well as a global mindset to join us—and we are working closely with the local universities on this. Q. You’ve worked with Henkel across Austria, Germany, France, China and, now, Singapore. What differences have you’ve seen in culture and its impact on employees? In general, Europeans tend to be more direct than Asians. Yet, this does not say anything about effectiveness or competencies. In the end, it is about personal interaction and relationship—the ability to listen and read people, the ability to appreciate, respect and collaborate with others regardless of backgrounds. At Henkel, diversity and inclusion is strongly promoted among our employees from 125 nations and in more than 75 countries. We firmly believe that an inclusive culture brings out our employees’ full potential and is a key success factor. In general, Europeans tend to be more direct than Asians. Yet, this does not say anything about effectiveness or competencies. Q. As the business head, how closely do you work with the regional / Singapore HR director, and on what projects? As Henkel develops Singapore into a key global centre of excellence with a new global supply chain hub, HR plays a critical role to support this by defining expertise, headcount and ensuring smooth onboarding for new employees. Additionally, we work together closely on programs to attract and develop talents (such as campus and internship initiatives), promote diversity and inclusion in the workplace, and position Henkel as an employer of choice. Q. What are 2-3 of Henkel’s HR initiatives that you would like to call out for being unique? As part of our focus on developing strong leaders, Henkel’s five leadership principles convey our expectations from our leaders and they are used to evaluate and develop our leaders. The five principles are: lead myself, lead team, lead performance, lead stakeholders and lead change. These principles emphasise the abilities to adapt and innovate, manage changes and complex relationships, make decisions and inspire teams. Based on the leadership principles, the performance and potential of every managerial employee is assessed annually in a series of reviews, called development round tables, and the results are shared and discussed during the development dialogue. These dialogues not only facilitate personal and professional development, but also enable targeted, long-term career planning. For our top talent, we offer a leadership development concept, called “triple two”, which is based on job-rotation to two different roles, two countries and two business units. From these experiences, they gain an in-depth understanding about international business and sharpen their management skills by learning to balance cultural sensitivities with meeting job demands. Q. Home to 2,200 employees in Southeast Asia, how does Henkel ensure diversity? Henkel has almost 50,000 employees globally from 125 nations. Furthermore, 55% of our employees work in the emerging markets. Given this context, diversity is a strategic asset for our company and is actively promoted. The topic of diversity and inclusion is expressed in the company’s code of conduct, code of corporate sustainability and code of social standards. These codes and standards apply globally, including in Southeast Asia. In our 2015 diversity and inclusion campaign, selected employees from all regions demonstrated how they initiate change and interact respectfully with one another. Also, through the annual diversity week, employees in Southeast Asia participate in talks and activities to personally experience diversity. Also, Henkel has a corporate culture that rewards performance and evaluates the potential of each employee on his or her merits and performance, while respecting everyone as an individual. As Henkel develops Singapore into a key global CoE, HR plays a critical role in defining expertise, headcount and ensuring smooth onboarding for new employees. Q. As a leader, what’s the toughest decision you’ve had to make? It is usually tough to make people-related decisions. For example, as we are serious about developing future leaders, it is necessary to make efforts in identifying the potential in our people and to invest in their development. This process is not easy and requires commitment amid day-to-day work demands. In an ever changing landscape, it is no longer acceptable to rely on current expertise and performance to meet future needs. Can you lose weight simply by sitting less in the office?